What this guy said. even without the launch of MWO yesterday, Battletech deserves, no DEMANDS a spot on this list. I would like to third the motion to post add Battletech/Mechwarrior. The lack of it frankly stuns me since it has a huge media pedigree since the 80's (books, games, tv show, tabletop). Also, I find your lack of Star Wars AT models disturbing. "Voltron?" The name's GoLion, buddy. There are too many cool mechs to just to a 8 mech list. Where are the pony mechs? No Battletech mechs. :c Dissapoint. No Metal Gear, no Gundam, no VF-1, no Mazinger, Getter Robo, not even Zone of the Enders, but you include Lost Planet 3? I mean this is the game where piloting the mech is terrible slow boring toss that makes an already bad game worse!, and it's in your list of "great mechs". You need to go back to robot school. No Battletech/Mechwarrior. Were you high or something when you made this list? I mean, I could excuse the lack Gundam and Zone of the Enders as a difference of opinion, but how do you make a list abouts 'mechs and not include Mechwarrior? Not even the venerable AT-AT? Without a Gundam, Evangelion or even a Zord, the list feels a little bit incomplete. I don't even watch Gundam (eastern mechs are always to floaty for me and yes I know the excuse reasoning) and I find no mention of them to be odd. 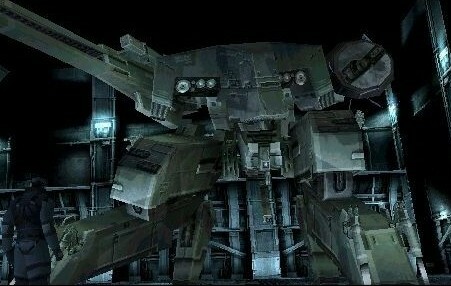 The Hawken image could have been better as well. No Metal Gears? No Gundams? No Tengen Toppa Gurren Lagann? This list is the worst list. Ah, yes, the giant robot MRI, Ball Trial. No Megas XLR? What have you done? I've never seen those designs before, and no I didn't think the MLP universe needed battlemechs. Yep, there's a distinct lack of Mad Cat in this list. METAL GEAR?! Damn it, man. You missed a few important ones I think. Oh well. Rex says hi. Having a bit extra for the next threat might not be a bad idea. Lost Planet 3 is the biggest case of bias towards recent releases I've seen. 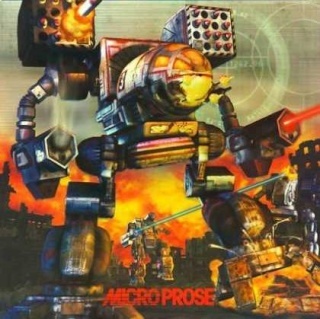 Previous LP games had better mechs and they're still not really top shelf mechs. That thing is really iconic as well, you'll see Timberwolf knockoffs in a lot of media, I think the most recent one I've seen was a very clearly unlicensed copy in a Girl Fight quicklook. It's also what you get when you input "mech" into Scribblenauts. Even Battletech has Timberwolf knockoffs for its own Timberwolf. Suckerpunch gets a mention, but no Titan Maximum? This makes me sad. I kept waiting to see Virtual On mechs, and it never happened :-(. It had mechs with 3 transform states. Battle Tech wound up stealing ALL OF THEM. And the bad guy mechs too. Yeah this mech list is crap. It has mechs that haven't been released and misses out on massive amounts of mech history. As stated BattleTech is a glaring omission. The amount of rude in this thread is astonishing. It's eight great mechs, not TEH BEST MECHS OF ALL THE MECHS. There's no call to say the list is "crap." List needs work. Could have been easily ten. URBANMECH! Or should I say... UBERMECH!!!! I swear, I've posted that link in a half-dozen different places. Also, revenge of the edit! I know right a great mech list and not a single Mobile Suit WTF. Also Deathscythe is one of my favorites to. I mean... chicks do dig giant robots... that giant robot being MEGAS!!! And no Gurren Lagann? Not even mecha's newcomer Gypsy Danger?! JUST WHO THE HELL DO YOU THINK THEY ARE?! This list is heresy! Blargh complain blargh! Aside from killing time what's the point of making the list then if not to expose people to obscure (and not really in a good way) mechs. Might as well make a list of "eight great orange sodas" since there's dozens of them out there. Won't go so far as to say the list is crap, but it's severely lacking.